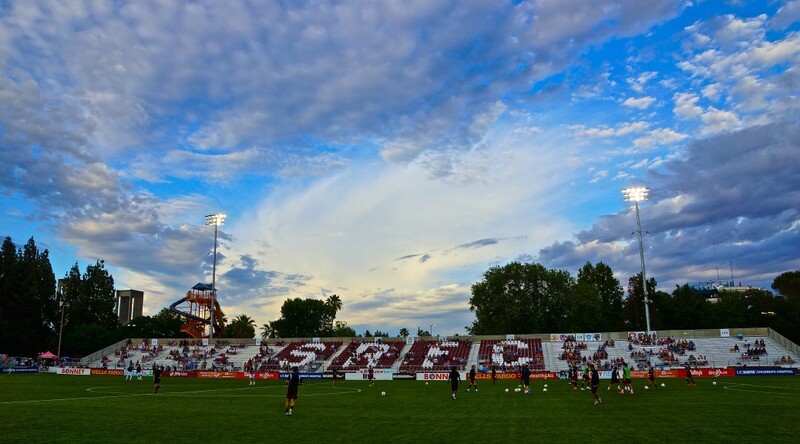 Sacramento, California – Switchbacks FC started the match off with a bang in the 3rd minute. Midfielder Rony Argueta controlled the ball on the left side of the pitch at midfield and proceeded down the middle of the Republic FC defense. Argueta looked up and sent a right-footed shot from 25 yards out on goal. Republic FC keeper Patrick McLain dove to his left but Argueta placed the shot into the upper right corner of the net for the early 1-0 lead for Switchbacks FC. Republic FC thought they deserved a penalty kick twice in the 37th minute after it appeared midfielder Max Alvarez was tackled inside the box after a short corner was played by the home team. After the referee motioned to play on, Republic FC played a through ball into the box for Alvarez. Again, it appeared that Alvarez was dragged down in the box but again a foul was not called. Rodrigo Lopez was issued a yellow card shortly after for arguing with the referee.